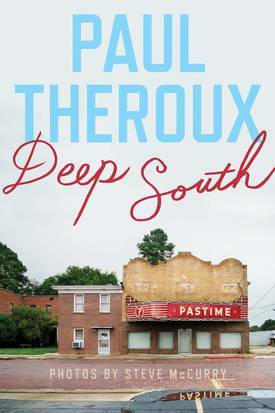 The great travel writer Paul Theroux talks about his latest book, Deep South. It recounts his travels through the back roads of the rural South, talking with people both ordinary and extraordinary about their lives and their communities. Then political cartoonist Ted Rall talks about his new political biography, Bernie. It examines Bernie Sanders as an agent for change working within the political system. Paul Theroux is one of America’s greatest travel writers. From the time he published his 1975 bestseller The Great Railway Bazaar he has been entertaining readers about his travels throughout the globe: the Americas, Oceania, Africa and more. Now, he’s turned his sharply observant pen to his own country, but to a region that is little known by many Americans — the rural Deep South. He was inspired by James Agee’s 1941 classic Let Us Now Praise Famous Men, which included both text by Agee and photographs by Walker Evans. Deep South, the book that resulted, includes the striking photographs of photojournalist Steve McCurry, such as the one at the top of this post. In the book, Theroux describes a region mired in crushing poverty, virtually forgotten by America’s leaders. Yet there is hope — a kind of pulling-yourself-up-by-your bootstraps hope — that Theroux found as he meandered along back roads in search of subjects. Paul Theroux’s previous travel writing is often marked by a heavy streak of irony. But Deep South evinces a profound respect for many of those he found and talked with. He encountered ministers, social workers, farmers, and laborers, black and white and mostly poor, who are doing their best to make their communities places they can thrive in. But he also found that history casts a long shadow against the past, with its legacy of slavery, inequality and marginalization. Paul Theroux is the author of many books, including the travel memoirs The Great Railway Bazaar, The Old Patagonian Express and The Happy Isles Of Oceania, as well as several novels. Whether you think Bernie Sanders tied with Hillary Clinton in the Iowa Caucuses or lost by a razor-thin margin determined by coin tosses, it’s clear his campaign is having a seismic effect on the American political landscape. 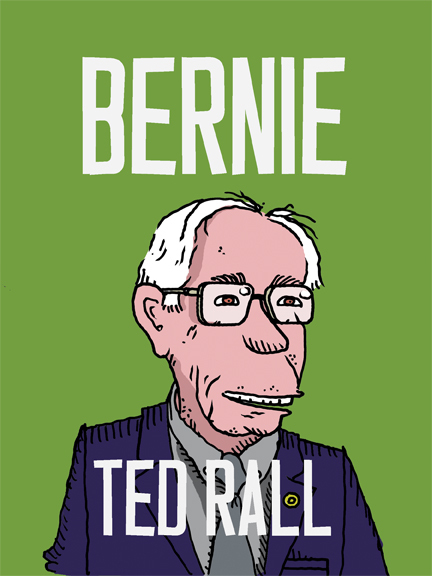 Political cartoonist Ted Rall is writing a trilogy about how political change happens. A few months ago, we spoke with him about his book Snowden, the first in the series. Now, he’s come out with Bernie, a book in graphic format that examines how Bernie Sanders is trying to create a political revolution working within the Democratic Party, as he brings his campaign for presidency to the fifty states. Bernie is focused less on the candidate’s biography — although that’s included — and more on the Vermont senator’s campaign, its place within the history of the Democratic Party and its prospects for creating real change from the grassroots.